That was TU Graz StreeTech 2018! 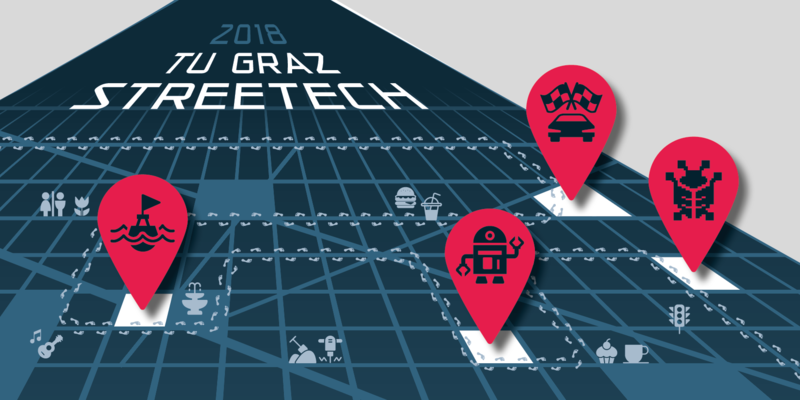 Fun with technology was the main thing at the first TU Graz StreeTech on 16 June 2018 in the Graz city centre. Internationally successful student teams from many disciplines presented their ideas and projects, and got people curious about research and the subjects on offer at TU Graz. The TU Graz Students’ Union (HTU Graz) and the TU Graz students’ advisory service were on hand to provide information about all the different degree programmes offered by TU Graz. At the Hauptplatz and at Eisernes Tor, the first TU Graz StreeTech attracted a lot of curious visitors. Passers-by, technology freaks and people interested in studying all came to see what was going on. Some of them made maps of the Hauptplatz with the Mars robot Husky . Others floated concrete canoes in the pool. People tried to set a new record for changing tyres on the TANKIA racing car. They watched as IT experts hacked trains live and ran races with the power of their thoughts. The visitors were suitably impressed by the variety of technology and science on display and the possibilities that studying at TU Graz can offer. to change the font size.